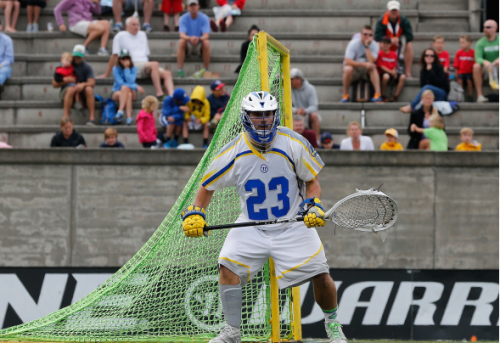 The lacrosse goalie world rejoiced when Vancouver Stealth ‘tender Tyler Richards scored earlier this NLL season. Now it’s field lacrosse’s turn. On Sunday against the Chesapeake Bayhawks, Florida Launch goalie Brett Queener took things into his own hands and scored a goal.